For all the Duct Tape and Crazy Glue fans out there, or if you just love to tinker with things till they're JUUUSSTT RIIIGGGHHTTT…….This one’s for you. 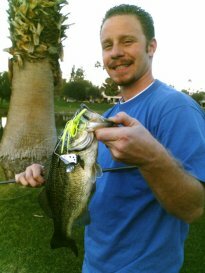 AAAHHH, there’s nothing like coaxing a bass into exploding on your topwater bait, especially a buzzbait. 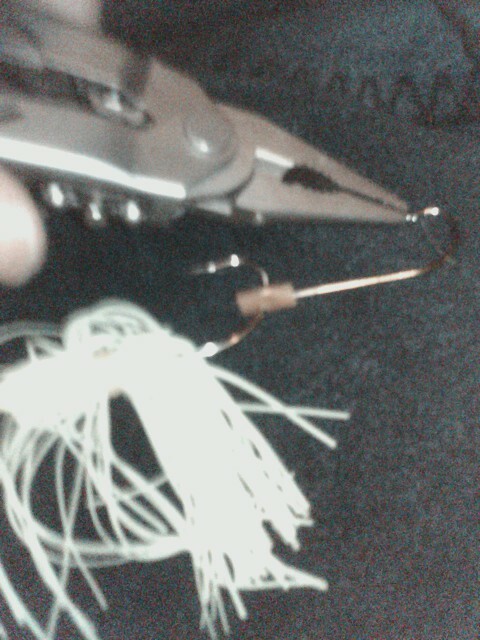 This tutorial is to show you how to “tune” your buzzbait so the inaugurating statement above happens more frequently. *Note all these suggestions can be used in conjunction or individually. Use your own discretion. 1. 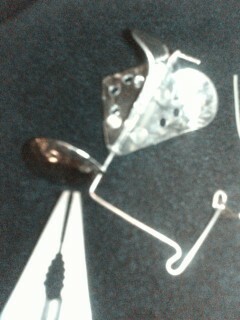 Straighten the wire that holds the blades and remove all rivets, saving one. 2. Remove the rivet casing that holds the blades so the blades can spin erratically. 3. Drill 3 small holes in the flat side of each blade to increase water displacement. 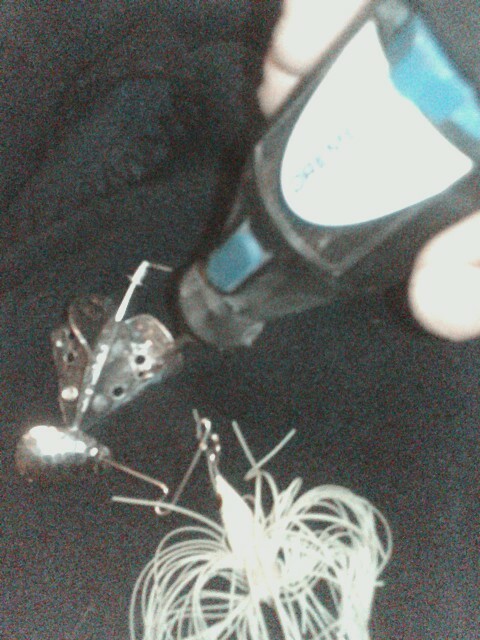 Also it leaves a small bubble trail for you and the fish to track where the lure is going. 4. Add a Colorado blade in front of the buzz blades to act as an inexpensive clicker. The more noise the better. 5. Wet the blades with water and cover them with salt (preferably rock salt) for at least 12 hours. The pitting that occurs actually makes the bait squeak. 6. This next enhancement may sound a bit different but it works, I got this from a reliable source back in the year 2000 (a Bassmaster classic winner), I’ve been using it ever since. (no, not personally) Ok, enough validation. 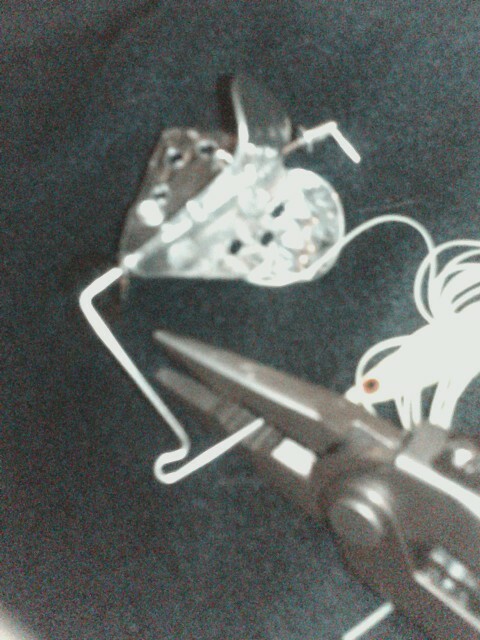 Take the lower wire between the bend and the lead head and clip it in half. Twist each end into a loop and connect them with a split-ring. There is a two fold reason for creating this hinge. First, the hook rides lower enabling for more strikes to result in a hook-up (most anglers bend the wire to achieve the same result). Finally, in a bush, a bass may want to wrap you up around a branch to break you off. This hinge eliminates the leverage created from a straight wire. 7. Crimp the saved rivet on the wire behind the blades to prevent the rivet from mving. This creates more attracting sounds as the spinning blades rub against the stationary rivet. 9. Add a stinger or sometimes called a trailer hook to the end. 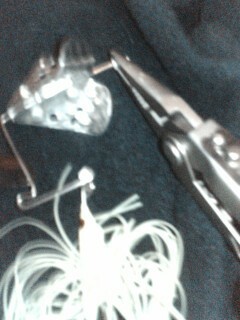 But make sure to crimp the barb because this may get hooked in the fish. 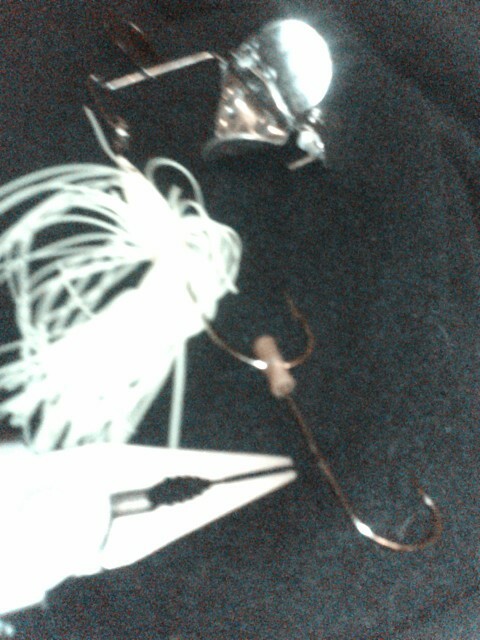 I forgot about the split ring thing thanks, that is the best set of buzz bait tips period! Oh WOW! This brought back some memories. (that's me in the pic) Miss being down there tagging fat LMB. Thanks for posting this up and keeping it in the archives.